Franklin Tomorrow will close the post-event survey for its recent On the Table initiative on Friday, Nov. 16. On the Table was a community engagement initiative with a simple premise: an opportunity for people to gather in small groups around a table with friends, neighbors, colleagues and maybe even a few people meeting for the first time, to share a meal and have a real conversation about what’s important to us. Starting with the kickoff event at Breakfast With the Mayors on Oct. 30, more than 20 public events and close to 30 private events were held across the city for individuals to come together. The survey can be taken by citizens even if you didn’t participate in an On the Table event to share their priorities and thoughts on Franklin. 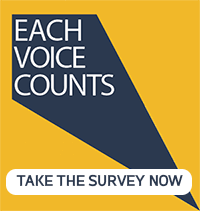 Take the survey by following this link or clicking the image below.